Help bring a new product to market in an industry new to the client. 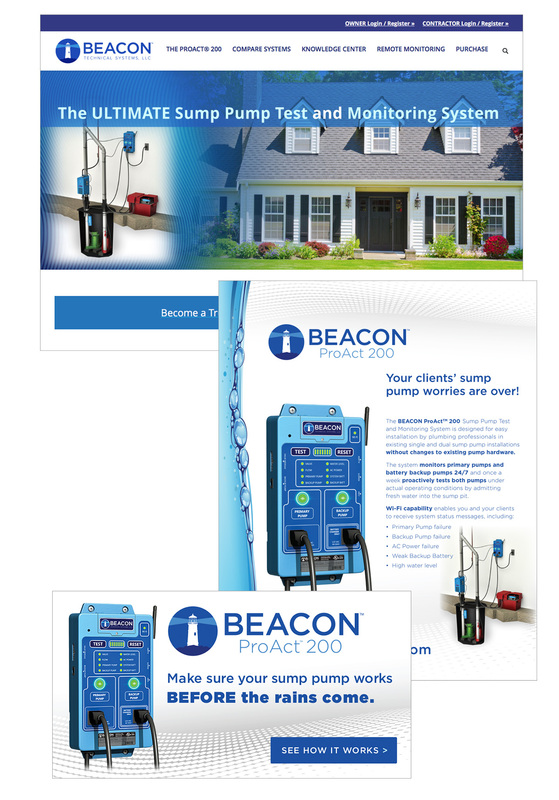 The Beacon ProAct 200™ is a sump pump alarm and monitoring system that proactively tests homeowners’ sump system on a weekly basis. Advance warnings are sent by text or email using the Beacon ProAct app. The direct to consumer brochure designed by Verve was awarded the MarCom Gold Award by the Association of Marketing and Communication Professionals (AMCAP).